It is also a clear matter of record that the Workers Party had an illegal armed wing called the Official IRA (OIRA). The Official IRA eventually abandoned all pretence at political activism and was solely a criminal enterprise. The OIRA’s gradual turn away from politics into criminality is brilliantly documented in Brian Hanley and Scott Millar’s book The Lost Revolution. Despite the fact that in June 1991, I made the BBC film that is widely acknowledged as being the final straw that broke the ‘Sticky’ back, I've never had any contact with Hanley and Millar and they bear no responsibility for what I say here. Official IRA actions, which continued well into the 1990s included the murder of people in robberies and disputes with other gangs or those who stood up to them, the tarring and feathering of women (where women have their heads shaved and are humiliated by being tied to lampposts in the street) and the protection of hoodlums who were carrying out illegal activities. Again this cannot be disputed. In Dáil Éireann (the Irish parliament) yesterday, Enda Kenny challenged Gerry Adams on paramilitary criminality and kangaroo courts (I paraphrase). To my knowledge, the Taoiseach has never put these kind of questions to former members of the Workers Party who form part of his government, despite the fact that the OIRA/WP link has been proven beyond doubt. 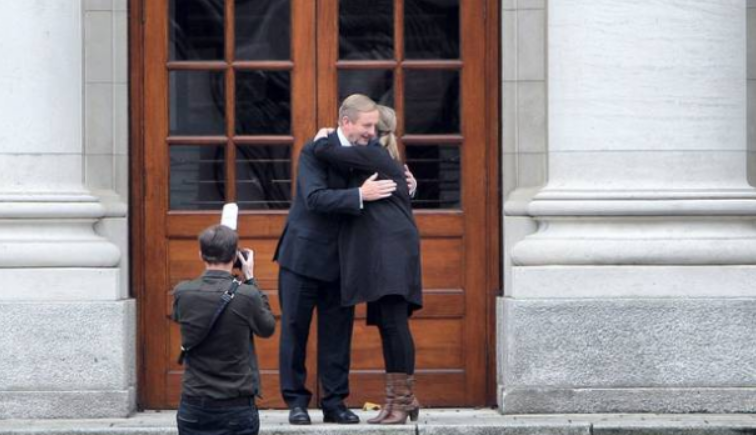 If I may say so, Enda Kenny seemed to lose the run of himself in the Dáil yesterday, as he appeared to make serious accusations against people who have already been acquitted of any wrong doing in relation to Mairia Cahill – alleging they arraigned her before a court of rough justice and by extension protecting an abuser, claims that have already been tested in court and rejected. 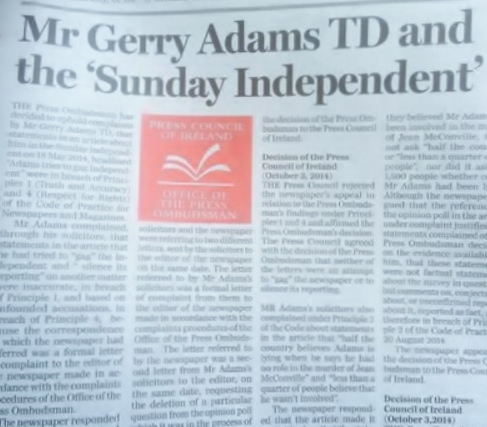 Gerry Adams angrily denied that any such thing took place and he received significant backing from solicitor Peter Madden who questioned how it was possible for the media to simply ignore the court ruling in this matter - "Solicitor complains of ‘trial by media’ over Cahill accusations"
The Taoiseach must surely be aware that the courts found against Mairia Cahill in the above regard? And isn't the the key thing now to ensure that Mairia Cahill’s alleged attacker is brought to justice, not smear people who have been vindicated in a court of law? Again according to the Irish Times, Enda Kenny made another strange statement in the above contretemps with Adams by alleging that Mairia Cahill had been prevented from going to the PSNI (the new northern policing system under the Good Friday Agreement), viz - "In the intervening period, she was not allowed to go to the PSNI." In fairness, there seems to be differing views on ‘armed struggle’ within RNU. However, the RNU's blanket opposition to the PSNI is clear, so how would that group deal with a complaint of sexual abuse within its ranks? Presumably by the very same method of inquiry used by Sinn Féin in former times. I should state that Mairia Cahill seems to have left RNU by the end of 2011 or some time shortly after that. We may never know the true details as the media declines to ask her about it, or even mention it. Enda Kenny of course would totally disagree with Mairia Cahill’s political beliefs. At the same time, it has taken decades for the Fine Gael party to even acknowledge the suffering and trauma endured by victims of collusion between the British state and pro-British death squads, or those, for example, who have been subject to improper behaviour by the Garda Síochána. (It goes without saying that victims of Official IRA violence have been ignored.) Yet Mairia Cahill was fast-tracked within the space of a week into the very heart of the Southern establishment. The 'Sindo' forced to apologise recently to their bête noire Gerry Adams on grounds of "truth, accuracy and respect for rights". So can we end this pretence that the extreme politicisation of the tragic Mairia Cahill case has arisen from real concern for this lifelong republican activist who seems to have suffered grievous abuse at the hands of a fellow republican who has so far escaped justice. It bears repeating that all the people who have to date been investigated in this matter have been acquitted. 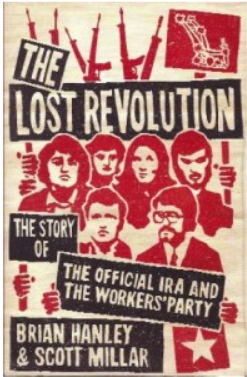 P 544 large format edition The Lost Revolution, Hanley, Millar, Penguin Ireland 2009. Precisely. The North was a fucked up society. Politicians are of course well aware of the war that has taken place in Ireland and the way it has affected all of us in terms of trauma, attitudes to policing, the Unionist community (which is also deformed by war) and Britain’s intelligence services. So aware that whilst accepting the Workers Party into their bosom they have ignored the OIRA story to death, for the simple reason that the WP and OIRA were the sworn enemy of Sinn Féin and other radical groups. There’s a quite brilliant explanation by Derry man Dolan O'Hagan (Executive Editor of the Irish Examiner) of the implications for the lack of trust in the RUC in the North and how the IRA (and other groups) filled that justice vacuum, sometimes in an inevitably harsh, clumsy and wrongheaded way. It’s a sophisticated and nuanced article that gives a proper context to what happened to Mairia Cahill and indeed thousands of others seeking redress for lots of different reasons in a fucked up, oppressed, militarised and paranoid society. The Dublin 4 political and media class doesn't do nuance; they want their Gerry Adams and Sinn Féin on a plate thank you and would airbrush our recent war from history if they were able. Their problem is that the plain people of Ireland are actually very astute and can see them coming. The Irish people are by nature anti-colonial. 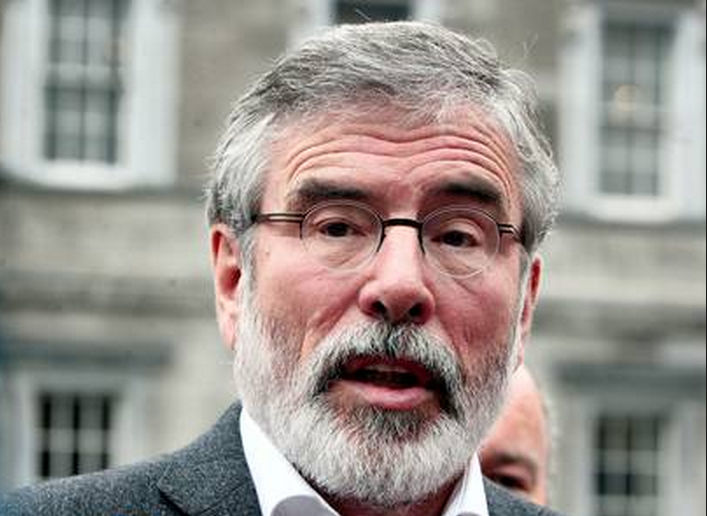 Adams must go is the mantra from ‘balanced’ journalists over decades – will Sinn Féin bow to that pressure? Here is the bottom line for the southern establishment and it has nothing to do, in my opinion, with properly caring for Mairia Cahill and her best interests, as Dolan O'Hagan as effectively shown in the article quoted above. By the hyper-exploitation of this case, they are in effect making the removal of Gerry Adams from political life the price Sinn Féin has to pay for being “allowed” into government. The next move is clearly with Sinn Féin.